If Flora Rose (1874 - 1959) had followed the expectations of her well-to-do Denver family, she would have been a woman of high society. By her mid-twenties, however, Rose found that lifestyle unfulfilling and abandoned it for a career in the new field of home economics. She borrowed money and enrolled in a household arts program at Framingham (Massachusetts) Normal School. In 1904, she earned a B.S. from Kansas State University, where she taught food and nutrition classes. By 1907, Rose had received an M.A. in Food and Nutrition from Columbia University. In 1905, Rose wrote a letter to administrators at both Stanford and Cornell University encouraging these forward-thinking, coeducational universities to start programs in home economics. She later explained: "Neither of them had home economics, and in my reforming mood I decided that they should." Rose's letter convinced the Cornell administration to invite her as a lecturer in nutrition in 1907, which led to a full-time appointment in the agriculture department in the hope that Rose would help establish a home economics department. 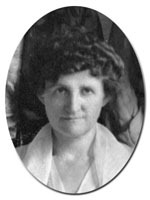 With Martha Van Rensselaer, Rose began to co-direct the fledgling department in 1908. Rose's specialized academic background complemented Van Rensselaer's experience: Van Rensselaer took responsibility for administration and extension; Rose taught and served, in effect, as the dean of the student body. President Schurman described the Van Rensselaer-Rose partnership as the "only successful double-headed administration in the world." A colleague among the early faculty always wrote to them as "Miss Van Rose." The pair lived together as companions until Van Rensselaer's death in 1932. Rose and Van Rensselaer campaigned vigorously to improve the resources of the Department of Home Economics. They fought with the university administration for equitable budget allocations and space on campus, as well as frequently appealing to Albany for increased funding and recognition. In 1919, their hard work paid off when the university made the department independent from the agriculture school, creating a separate School of Home Economics. This development gave Rose and Van Rensselaer autonomy in running the home economics division. Six years later, they achieved their goal when the School of Home Economics became the New York State College of Home Economics. Rose made important strides in the field of nutrition. Her research at Cornell led to the development of Milkorno, one of the first low-cost reinforced cereals. Throughout World War I, she served as deputy director for the New York State division of the United States Food Administration. In 1923, at the request of King Albert, she traveled to Belgium to organize food relief for malnourished Belgian school children. For her efforts, she received the Order of the Crown. During the late 1920s, Rose conducted a nutritional study of Cattaraugus County, New York, which garnered national attention because it discovered a relationship between good nutrition and decreasing incidence of tuberculosis and infant mortality. During the Great Depression, the Federal Relief Emergency Administration adopted emergency food budgets devised by Rose. These budgets enabled poor families to eat healthily on meager incomes. After Van Rensselaer's death in 1932, Rose became the head of the College of Home Economics. In 1940, at the age of sixty-six, she retired and moved to Berkeley, California, where she shared a home with Cornell colleague Claribel Nye. In retirement, Rose conducted nutritional research for the California State Health Department and led educational nutrition classes for Californian women and senior citizens.